At a family reunion this past week, I relished in the opportunity to pick the brains of and share stories with those family members who harbor more experience and wisdom than I do. Each one I spoke with has a tremendous responsibility to his company (Director of, VP of, Head of). And they all said that what takes up the most time and energy day-to-day is managing people. But the word “manage” has such a negative connotation in business. Just look at the synonyms for manage: direct control, in charge of, preside over, supervise, oversee, command, administer. Sounds like business slavery to me. Then my uncle chimed in with, “You don’t manage people, you lead people. It’s the task that has to be managed.” This hit me like a ton of feathers (not as violent as bricks, but crushing nonetheless). If your direct reports were all blinking cursors, hard drives and complex algorithms, you most certainly could manage them. But your direct reports have thinking brains, motivational drives, and complex mannerisms all of which combine to either make things happen, or not happen. So What Makes Great Leaders Great? At the Center For Creative Leadership… researchers looked at a number of factors that could account for a manager’s success. [They] found one, and only one, factor significantly differentiated the top quartile of managers from the bottom quartile … the single factor was high scores on affection—both expressed and wanted … the highest performing managers show more warmth and fondness toward others than do the bottom 25 percent. They get closer to people, and they are significantly more open in sharing thoughts and feelings than their low-performing counterparts. … All things being equal, we will work harder and more effectively for people we like. And we like them in direct proportion to how they make us feel. 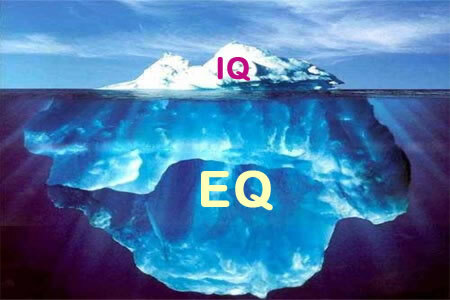 Or in short: Emotional Intelligence makes people better leaders. Lead the people who manage the tasks. But to be able to lead your people, you have toknow your company. Who’s Leading You While You’re Leading Your Efforts? These 3 statements above are why we created The Ignition Lab. It’s to support the side hustler, the freelancer, the independent contractor and the aspiring entrepreneur, because while managers and employers need to know their staff in order to lead them, the independent hustler needs to know his/her prospective clients in order to lead them. Do you know yours? Applications are now open for a limited time.